The lake has thawed and once again it is time to start thinking about open water swimming in Cayuga Lake. Please read the information below regarding this season. 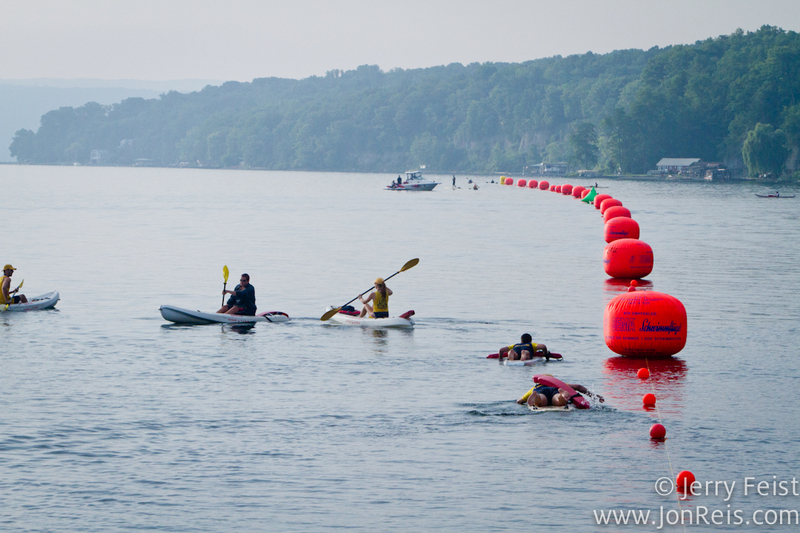 IN ORDER TO PARTICIPATE IN THE ITC LAKE SWIMS YOU MUST ATTEND AND PASS A CANOE SAFETY CLINIC. Passing a canoe clinic involves learning some basic paddling techniques and demonstrating you can enter a canoe from deep water unassisted. There are two canoe clinic options, both are offered in early June. For people who’ve passed the beginner canoe safety clinic and have swum at least twice in the last two years at our ITC lake swims, you will only need to attend a “refresher” clinic this year. For all people who do not fit the above criteria, you will need to attend a “beginner” canoe safety clinic. You must be a club member in good standing to participate in the canoe clinic so please make sure your membership is up to date before singing up for a clinic. The canoe clinics, and the lake swims, will be held at Francesca and Kent’s house on the west side of the lake. People who can get to the clinics early (but no earlier than 5:30pm, please!) – or those who can stay late — any help getting set up or putting the canoes away would be much appreciated. Canoe clinic sign-ups start at the ITC club spring meeting in early May. People attending the meeting will get first chance at space in the canoe clinics. Email sign-ups will start shortly after the spring club meeting. To sign-up up via send an email to me at amelia.frye@gmail.com. Specify which date you are signing up for, please. We will have about 6 canoes at our disposal. Plan on wearing your wetsuit – there will be some “water rescue maneuvers” practiced. You will get wet. The water will be cold. Please consider your time schedule carefully prior to signing up for a clinic so as not to inconvenience other ITC members. It’s best to have no more than 16 people per clinic so the clinics might have to be closed early. Happy Spring and Happy Swimming!